The sister of controversial pro-Biafran leader Nnamdi Kanu, arrested in Lagos in October, is worried about the conditions he is being kept in. 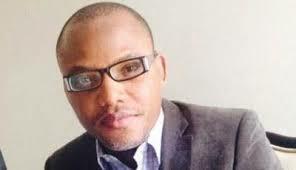 Kanu is the director of Radio Biafra and leader of the Indigenous People of Biafra (Ipob). Ipob and other pro-Biafran groups call for the independence of territories that constituted the Biafran Republic, established in 1967 and reannexed to Nigeria in 1970, following a civil war that claimed between one and three million lives. 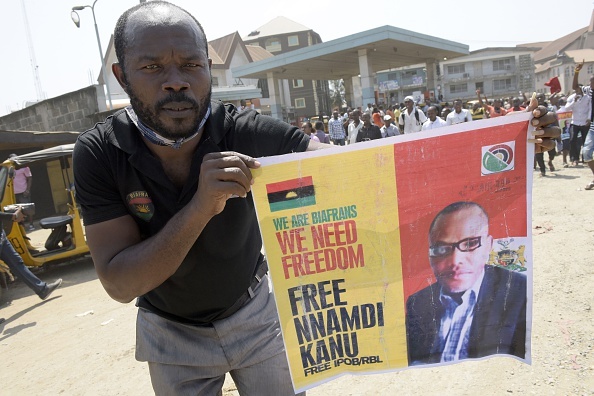 Kanu – who has been accused by some of promoting hate speech and calling for a violent uprising to achieve independence – was arrested on charges of criminal conspiracy, intimidation and belonging to an unlawful society. He pleaded not guilty. He appeared in court in the federal capital of Abuja on 23 November and his trial was adjourned to 1 December. His sister Princess Chinwe Kanu expressed concern about her brother's well-being after seeing him in court earlier in November. Referring to the country' state security (DSS), which is holding Kanu in detention, she told the Daily Sun: "Honestly, the way they are going about this case I'm not comfortable with it because when I saw my brother, he looked like a shadow of his former self." She also alleged that Kanu was in physical pain as a result of torture and starvation. Regarding the hearing on 23 November, she said: "My brother was assaulted publicly in the court premises and I'm standing here with evidence to show the world what is going on. I'm afraid [for] my life and that of my family with the way things are going." Earlier in November, Kanu's lawyer, Vincent Obetta, said the DSS had been authorised by the court to further detain his client for 90 days to "conclude what they said was an investigation of terrorism and terrorism financing". Police have denied these claims, arguing that pro-Biafrans hold violent rallies that disrupt peace. Public relations officer for the police in Anambra state Oleehkukyu Ali told IBTimes UK the police have nothing against pro-Biafran groups as long as they behave in a peaceful way. Earlier in November, state leaders in south-eastern Nigeria decided to set up a committee to mediate dialogue between pro-Biafra and the federal government. Following a meeting in Enugu, capital of Enugu state, the leaders released a statament, which read: "After a compassionate review of the recent Massob/Ipob agitation in the country, it was resolved that a committee be set up to dialogue with Massob/Ipob as well as with the federal government with a view to finding a lasting solution to the issue."